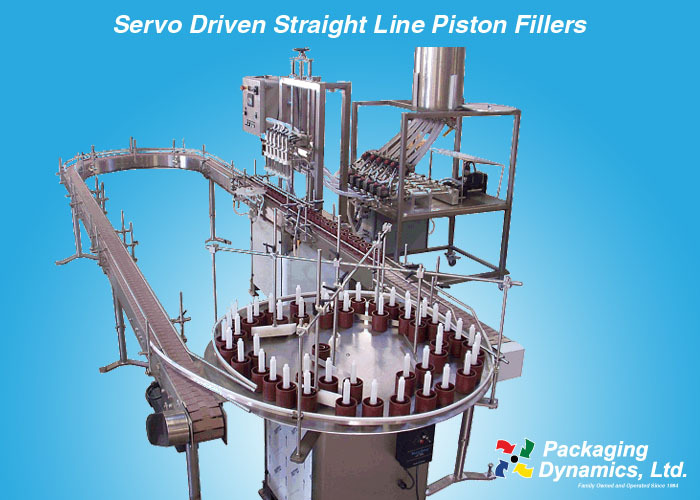 Servo Driven Straight Line Piston Fillers - Packaging Dynamics, Ltd. The Packaging Dynamics, Ltd. Automatic Straight-Line Servo Controlled Piston Filling Machine Model SLA-RVP has been engineered to fill thin to heavy viscosities to creams & thicker lotions into containers as small as 1/4 oz and as large as 1 gal at rates as high as 100 containers per minute depending on container size and product consistency. Accuracy and repeatability are within +/- 0. 3 %. 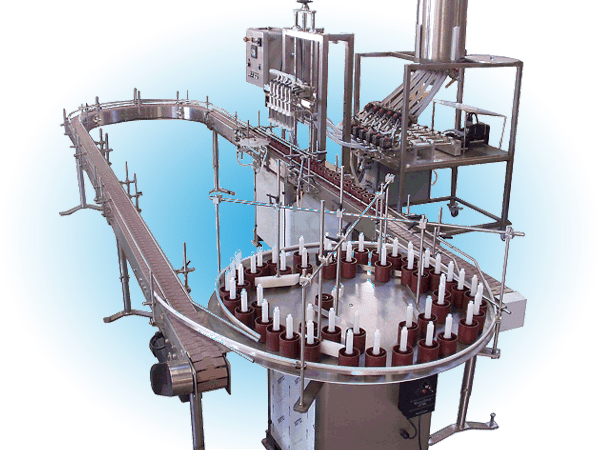 Standard equipment includes Allen Bradley (AB) PLC controls, product reservoir, variable speed 10 foot conveyor, (AB) photo-optic sensors, In-Gate and Out-Gate cylinders (or star wheel) for controlling container flow and a “user-friendly” (AB) Panel View Operator Interface. Quick nozzle alignment and conveyor rail adjustment handles provide for a quick and easy change over.